Each month we put out a newsletter to all of our Wake Foot Sanctuary guests. We post the newsletter to our website after our followers receive it. 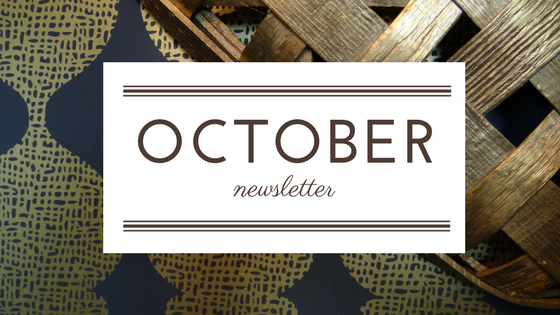 Here’s a sneak-peek into what’s going on at Wake in our October newsletter. Coconut Mint Toothpaste Recipe. Are you looking for a fun DIY that’ll help you feel minty fresh? Head over to our blog to learn how to make your own coconut mint toothpaste and get that smile looking and feeling fresh. Comfy New Arrivals! We’ve got some fun new arrivals in-store for Wake guests to cozy up to. Wake brand Spa Wraps are just the trick to beat the cold. They’re like the big sisters to our wildly popular neck wraps! 28” in length, plushy, and full of rice, flax, and lavender. You can microwave these just like our neck wraps or pop them in the freezer for those warmer times. Use these spa wraps to cozy up or apply much needed soothing heat to an area. ($40 ea. and available in dark blue or dark grey.) Are your feet always cold during the winter? Have no fear, we have a slipper version of these wraps coming to the shop this month and they’ll warm up even the frostiest of feet.